To most people, the idea of capitalism, where government’s only role is to protect its citizens’ individual rights against those who initiate physical force and fraud, is shockingly novel (and therefore, often suspect). The novelty and suspicion are understandable, as that is not the only role of government in the prevailing mixed economies. In a mixed economy, government plays the role of a powerful nanny who “takes care” of us in various ways, by redistributing income and wealth and controlling our behavior through taxation, regulations, and other interventions in our lives. Many business students also find appealing the idea that human flourishing should be the standard by which we make choices and take action. However, reconciling that with capitalism seems challenging. “Under capitalism, who would regulate us?” they ask, being particularly concerned about sufficient regulation of business firms. 2) that government bureaucrats—who are not tainted by the profit motive—would have the wisdom to know what “the common good” is and to regulate business firms (and the rest of us) accordingly. As Peter Schwartz convincingly argues, modern intellectuals have distorted ‘selfishness’ by packaging together two disparate elements: the legitimate pursuit of one’s self-interest and the immoral exploitation of others by force or fraud. Such a package-deal concept equates businesspeople who are great producers of material values, such as Steve Jobs and Jeff Bezos, with criminals who destroy values by preying on others, such as Bernie Madoff. Such a distortion of ‘selfishness’ has led people to think that profit seeking is inherently exploitative and immoral—and therefore must be regulated by the government. Similarly, the concept ‘the common good’—which is used to justify a mixed economy system—confuses people’s thinking. As Ayn Rand explains, “the common good” is a vague and undefinable concept, except in its literal meaning as the sum of the good of all the individuals involved. And that cannot be determined by bureaucrats but will require the free judgment of each individual. Besides from the confusion about ‘selfishness’ and ‘the common good,’ business students’ aversion to capitalism comes from failing to grasp government’s limited role and how free markets function. Again, this is understandable, as it difficult to imagine a system very different from what we are accustomed to. But capitalism is not anarchy where everyone carries weapons and forms militia for self-protection. Government’s role is to protect its citizens against any initiation of physical force or fraud, and importantly, to protect contracts in case of disputes, through the court system. For example, violations against property rights, such as pollution, are punishable by law. All other government functions that people are concerned about losing in capitalism would be replaced by free markets. Health care, education, utilities, roads and other infrastructure would be made more accessible and affordable and of higher quality when provided by competitive, innovative, profit-seeking business firms rather than by government. (The very small minority of truly destitute who cannot afford private products and services, such as health care and education, would depend on private charity—which would flourish in the absence of government involvement). Even if people were not confused about capitalism and not reluctant to give up a mixed economy, a switch to capitalism could not be made overnight. It would have to happen gradually, to give people time to adjust. 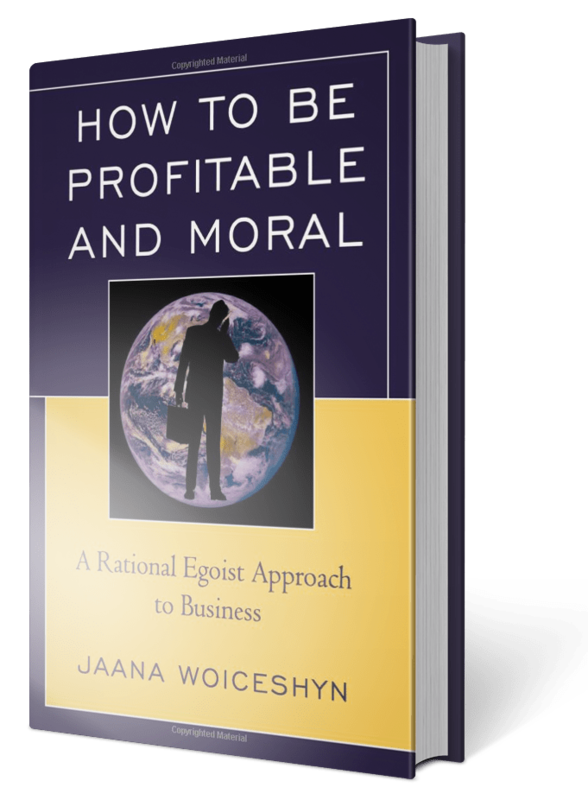 Previous articleWhy isn’t there more rational selfishness?